I'm absolutely NOT a cabrio guy. I would never ever choose a cabrio version of a Ferrari/Lamborghini/Porsche/Aston/Mercedes/BMW/Audi, etc. over the coupe version of the same model. 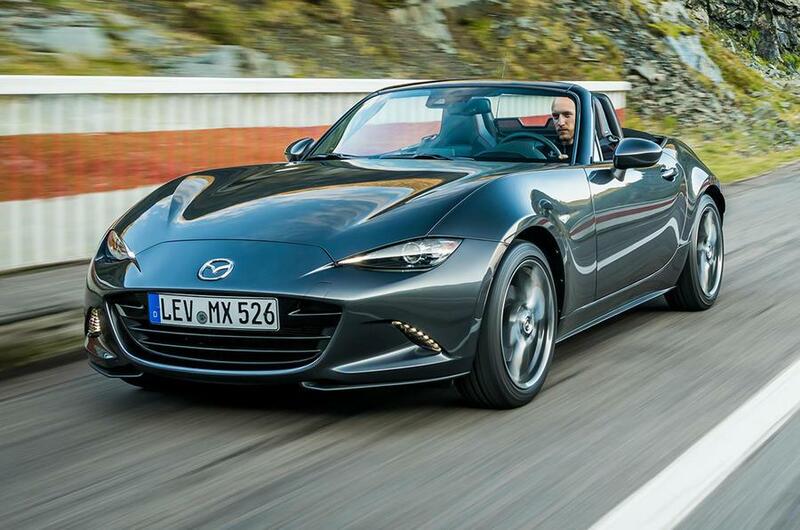 But I would happily own one of this MX-5. It's one of those very few cabrios that car enthusiasts can like. If I moved back to America I’d certainly buy this as a fun toy. MX-5 with the heavily modified 2 liters engine. The previous 2.0 engine wasn't that sporty character, it was somewhat "lazy", getting weak over 6000 rpm. In Europe, where both the 1.5 and the 2.0 liters engine is available car magazines has preferred the smaller engine because it was more eager to rev. Mazda has had enough of this, so they heavily modified the 2.0 engine. Now it's more eager to rev, far more alive over 6000 rpm. Power has increased to 181 HP/ 184 PS at 7000 rpm, rev limit is 7500 rpm. Peak torque has increased to 151 lb-ft/ 205 Nm, and Mazda says there is slightly more torque at every rpm compared to the outgoing engine. And it also passes the newest Euro 6d-TEMP emission test. Yes, the old 2.0 was more torque than power, almost like it was built for efficiency over performance. ...Its £29,000 For the 160bhp Sport B Auto version here, And $33,000 For the RF in the US, That is quite big for a Miata, And i was looking at other sites, And they raised the price of the GT350 to $58,000, And C7 to £73,000 and ZO6 to £100,000, These people are getting greedy n losing there damn minds for pricing these cars like this, They have been upgraded in price here 4 times now..
Foreign cars in Europe have tarrifs tho.